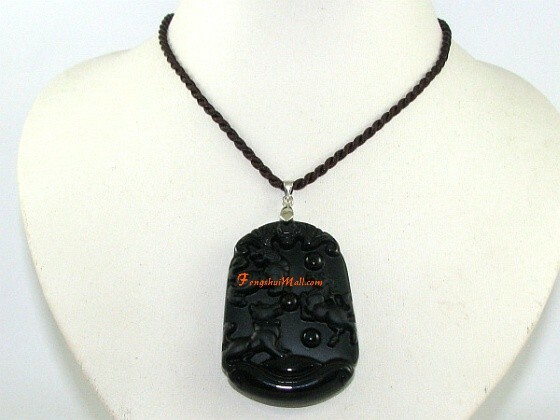 A stunning black obsidian pendant skillfully carved with the image of the three horoscope allies - the tiger, dog and horse. 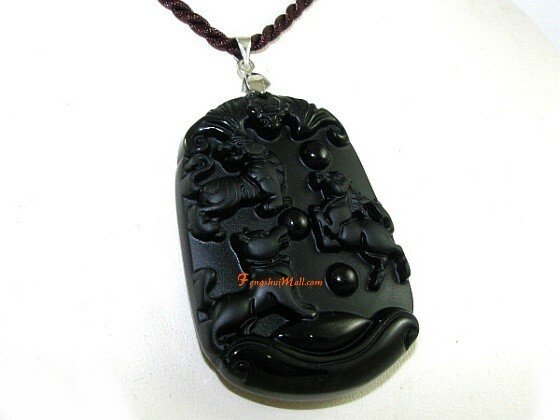 It's decorated with the symbol of Bat for good fortune and Gold Ingot for prosperity luck. 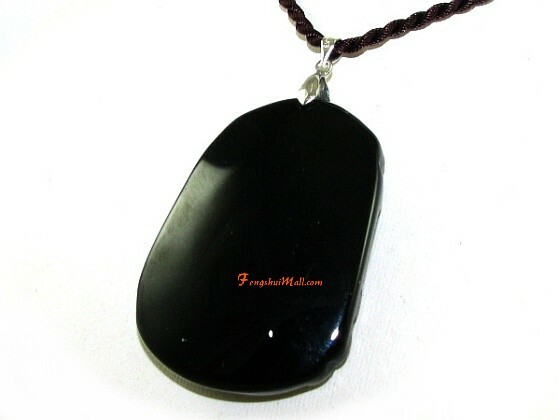 Chunky, strikingly black and bold, this pendant is ideal for those who like to glam up with Feng Shui accessories and jewelries that make a statement. There are 12 animals in the Chinese horoscope cycle. These animals, in order, are the Rat, Ox, Tiger, Rabbit, Dragon, Snake, Horse, Sheep, Monkey, Rooster, Dog and Boar. In traditional Chinese astrology, the twelve animals can further be categorised into four groups of three animal allies, buddies or friends, also known as San He (three harmonies). Anyone born to a specific zodiac will get along very well with their two astrological ally friends in the group. 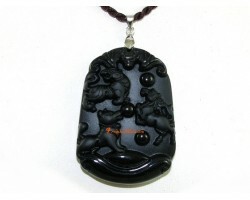 The tiger, dog and horse form one of the four zodiac allies group and will have special affinities between them. 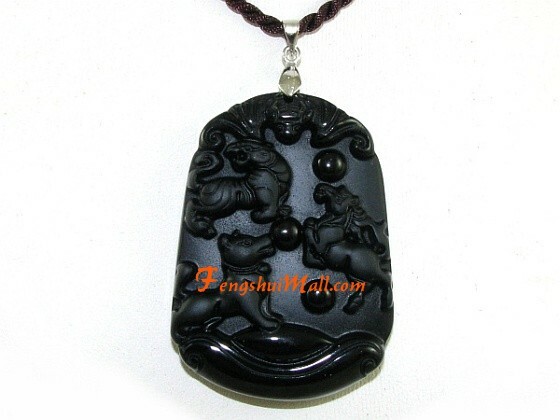 To best harness your horoscope friends, carry or wear this horoscope allies hanging with you wherever you go, if you are a tiger, dog or horse born. Doing so will help compensate the lack of luck and success, even if the year's horoscope prediction does not look good. Your zodiac friends will give you the power and vigour to get through these tricky times, as well as excel in your studies or business endeavours.